I’m going to go out on a limb here and say most people have a few more libations over the course of December than they might during the rest of the year. And you know what? A few extra drinks over the holidays probably won’t jeopardize your health if you’re still drinking (relatively!) responsibly. This is especially true if you’re having an extra one or two in celebration with friends and family. If you’re filling your cup, however, to deal with holiday depression, I urge you to look at other methods of coping. Drinking for depression ultimately ends up making you feel worse and can lead to further risks for developing alcoholism. Hangovers are nearly impossible to eliminate, but by knowing a few things, you can lower your risk—and the severity—of the morning-after consequences. Don’t worry about the old sayings like, “Liquor before beer, you’re in the clear” or “Beer before liquor, you’re getting sicker,” because they aren’t true. What does lead to worse hangovers, however, is darker alcohol. This is because darker booze contains by-products called congeners that can lead to hangovers. So if you’re going to drink, stick to gin, vodka, white rum, wine, or beer. Dehydration is one of the potential causes of a hangover. Alcohol dries you out, so the best way to combat this is to intersperse each alcoholic beverage you have with a glass of water. This not only ensures you stay hydrated, but it can also fill you up so you drink a little less! If you’re out with the grandkids for a Santa Claus Parade, community tree lighting, a hockey game, or a day of tobogganing and pack a little flask to keep you warm, you’re likely doing more harm than good. Although one of the immediate effects of alcohol is to increase blood flow to the skin to make you feel warmer, increased levels of blood alcohol eventually lead to more rapid heat loss. So it turns out to be more of a short-term gain for long-term pain type of scenario. 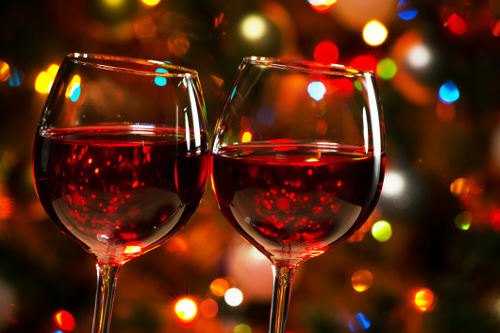 So there you have it: a few alcohol myth-busters and tips to help you get through the holidays without doing too much damage! Remember, to always drink responsibly, and that moderation is the key to limit alcohol’s negative effects on your body.